As regular readers will know, I have a ‘thing’ about shooting photos down the lanes of Glasgow. There is so much going on down there and it’s ideal when the weather isn’t great. I’ve taken my greatest, and most popular lanes shots and turned them into a collection that you can buy from RedBubble as framed prints, postcards, canvases or just about anything else you can think of – just click here. 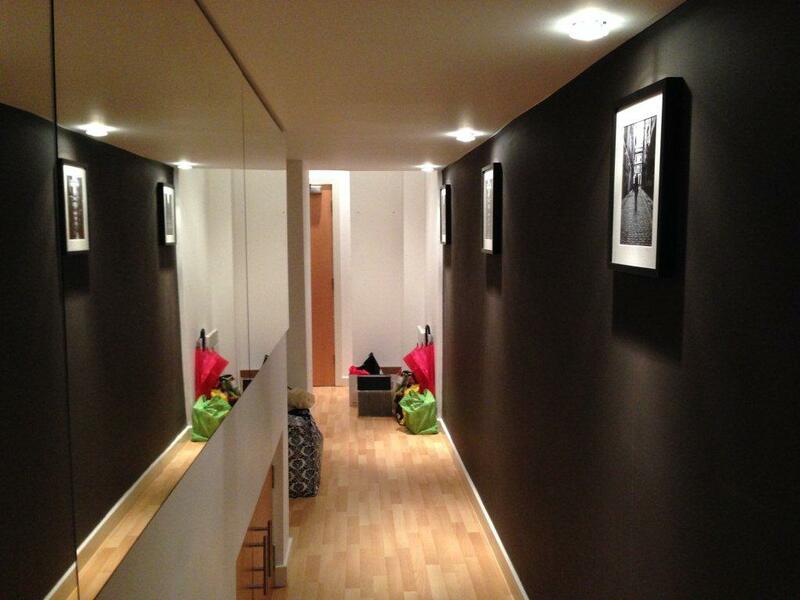 This photo, very kindly taken by a customer shows three of the pictures beautifully lit along the hallway of his modern City Centre apartment. I hope you’ll agree, it looks quite stunning. If you have any questions, please don’t hesitate to contact me at ross (at) scottishdream.co.uk. Meantime, please feel free to browse this and my other works at RedBubble, and I hope you find something to suit your tastes. 10 Feb	This entry was published on February 10, 2015 at 10:36 pm. It’s filed under For Sale and tagged art, b&w, black and white, canvas, city, framed, Glasgow, lanes, photography, prints, redbubble, urban. Bookmark the permalink. Follow any comments here with the RSS feed for this post.